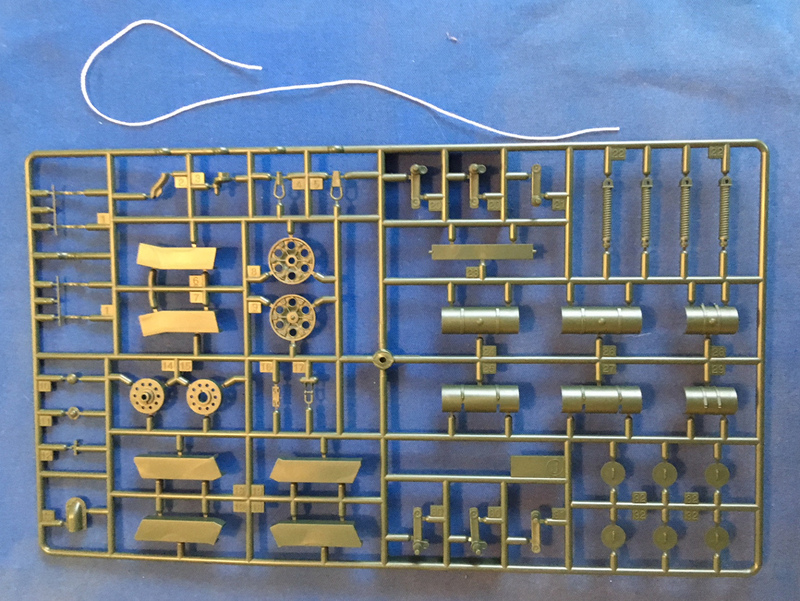 Internet Modeler Academy 1/35 T-34/85 "No.112 Factory Production"
Academy 1/35 T-34/85 "No.112 Factory Production"
A classic above all in the armor world, the late War T-34/85 will always be associated with such events as the Battle for Berlin in May of 1945. The T-34 was in service from the start of the War until its end, and well beyond. The Germans were quite surprised when they first encountered it, and the T-34 earned their respect. It was an inspiration for many of the design features that eventually wound up on the German Panther tank. The Wehrmacht even used captured T-34s to such an extent that they gave it a German designation and even set up an assembly line to perform modifications to suit it for service in the German army. The T-34 fought from day one at Barbarossa through Stalingrad, Kursk, and into the campaigns in the Balkans, Poland and ultimately Germany itself. The T-34 continued on to enjoy a long post War career. It served in every conflict in which the USSR or its allies took part. Korea, Viet Nam, Africa, the Middle East and other areas have all seen the T-34 fight over the years. It has been used by many African, Asian and Middle East countries and to this days it continues in front line service. T-34s have been manufactured in several factories and in two different armament variants. 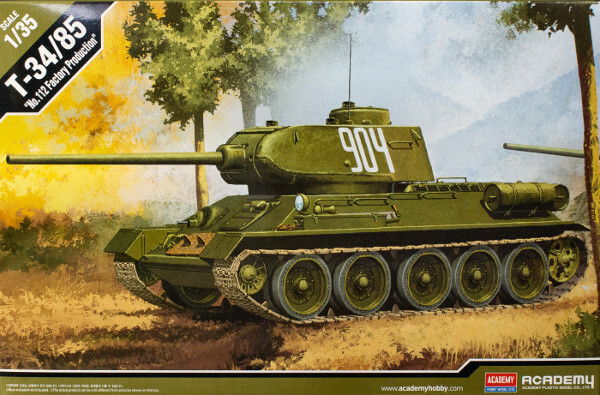 Only its successor the T-54 has been produced in greater numbers, and as such it is a necessary addition to any complete collection of armor models. 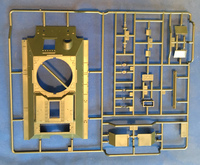 This is the kind of kit that makes a fair modeler look good and a good modeler look great! 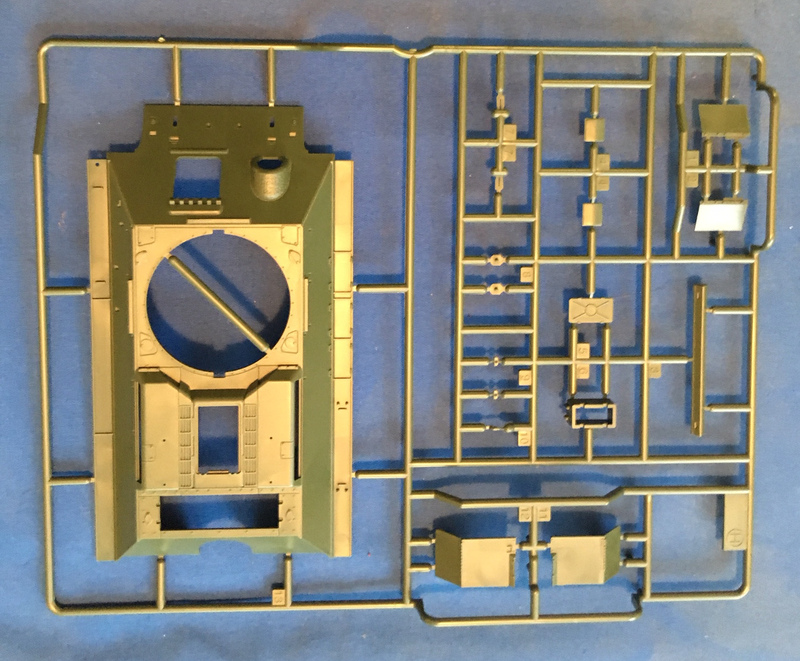 The kit has uncomplicated engineering like the real T-34 itself, a simple design without a lot of complex fenders and exterior detail. The kit follows suit, but what is there is done effectively. 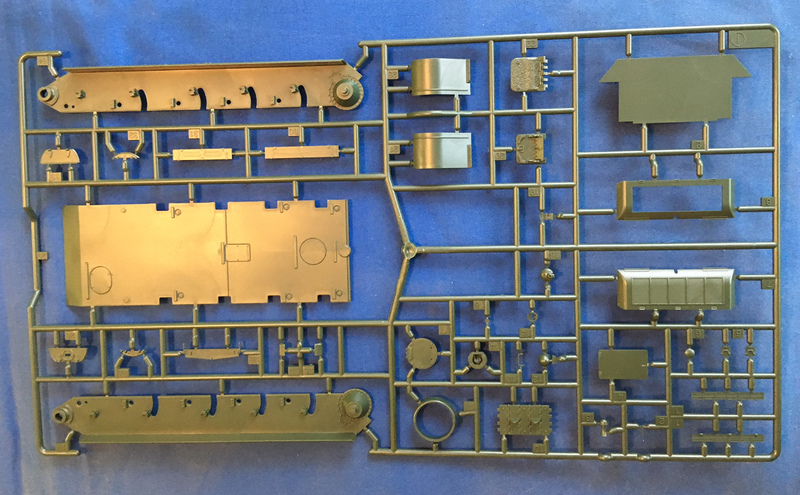 Academy's T-34/85 kit includes to make both a late war T-34 and also a Korean War vintage version. The differences include a different main turret piece, commander's cupola and fenders. 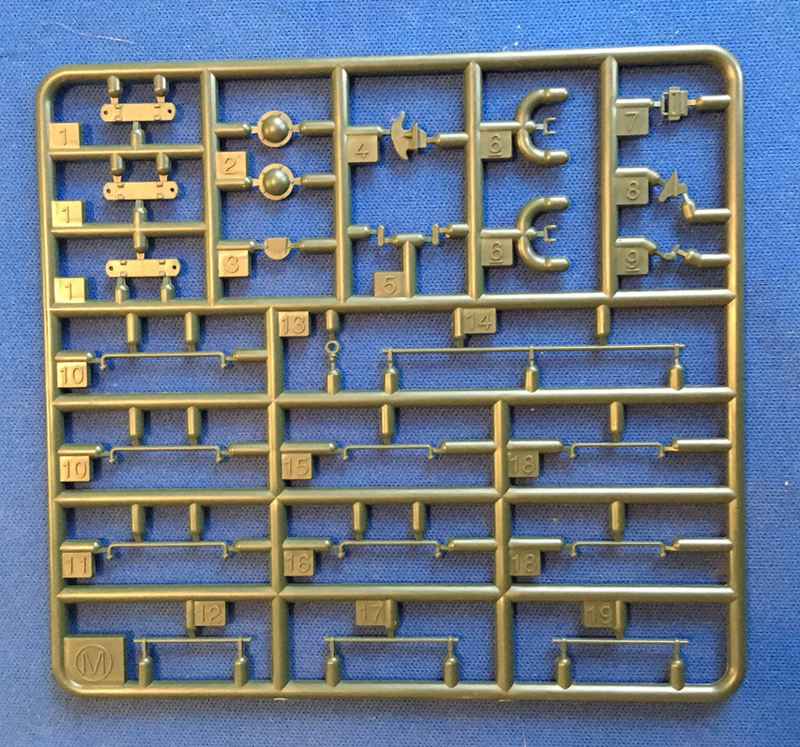 This vastly extends the possibilities for this kit, and you can model late Cold War variants. This should make the GPW fans happy as well as the devotees to Middle East and Africa conflicts. The first thing that I noticed is a pronounced cast surface texture. I think it looks a bit overdone, but it is often the case that after a coat of primer and paint it is just about right. World War II tanks are rough creatures and the kit should replicate this. The other surface detail is good overall. The handles and other external details are reasonably thin, though the extremely fussy might choose to replace them with wire. 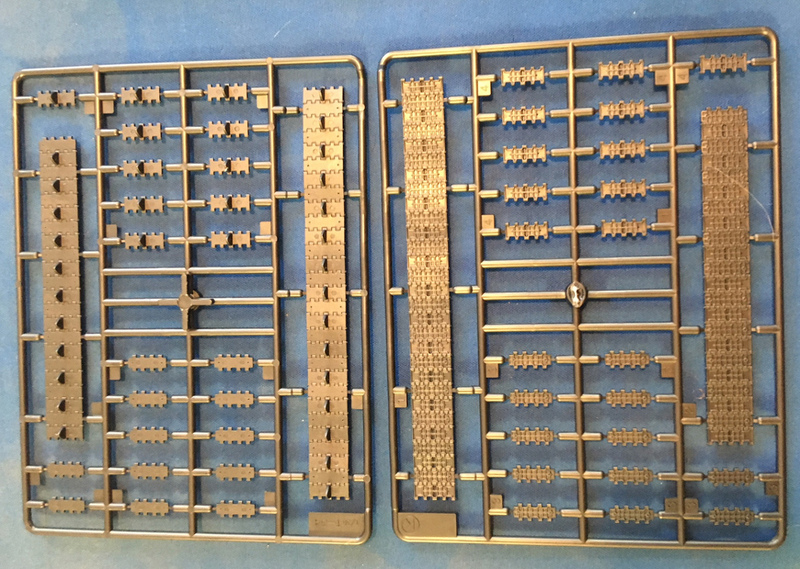 Some thinning of edges and other basics will improve this kit, with very little real effort being needed. The wheels and suspension components are well molded. The bolt heads are actually six sided and the wheel details are good. The plastic is quite nice overall and hits a very nice middle ground between being build able and also detailed. The few compromises made do not detract from the look of the model and it looks to be a pleasant build that will look great when done. The photo-etch in this kit is minimal. It consists of the screen over the engine and its accompanying straps. 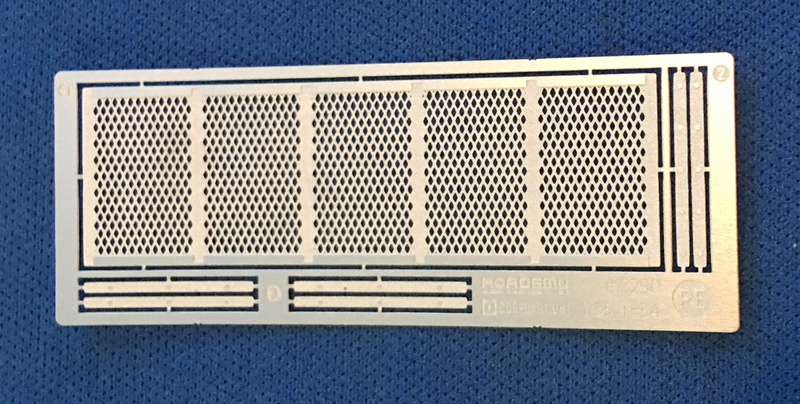 You can use the molded-in screens or the PE. If you use the photo-etch then there is some surgery to be done: you have to remove the old screen and some structure underneath it. This prevents a "see through" effect. I think this additional work is well worth the effort and it enhances the kit considerably. The decals are thin and of good register. The options should keep just about everyone happy. There are two options for the fall of Berlin, one for Yugoslavia with a cartoon included, two for Korea and one captured war trophy, also from Korea. A separate instruction sheet is included, both sides of an 8.5 x 11" sheet in size. The instructions are simple but clear. They are black and white line drawings, along with a useful parts map. 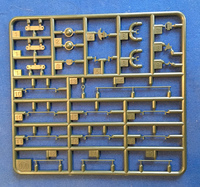 The use of different colors in instructions, which one encounters in Eduard and Airfix instructions, can be helpful, particularly when the build sequences are complex. 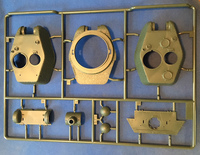 But for this T-34 kit the black and white illustrations are more than adequate, with clear steps depicting the use of different parts to create the kit's two major variants. 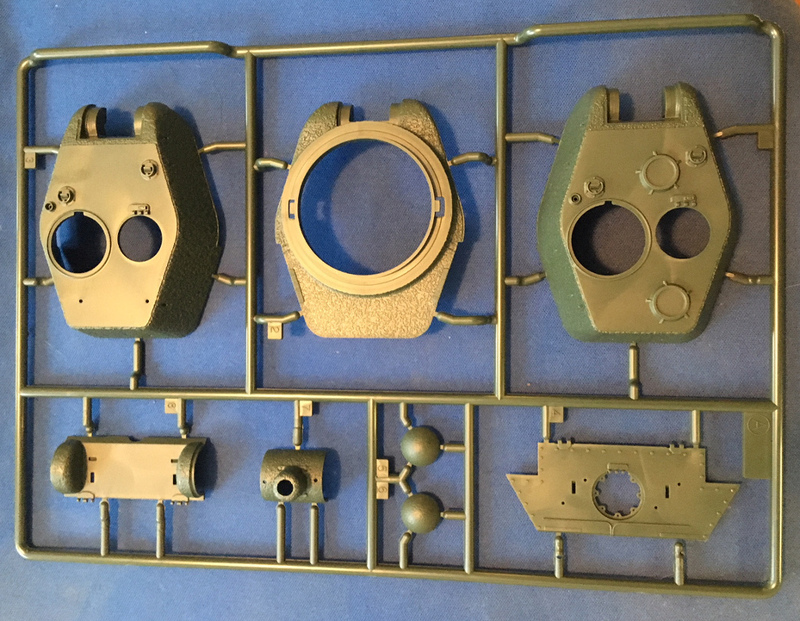 The instructions include paint codes for Gunze GSI, Model Master, Vallejo, Revell and Humbrol, which should have just about everyone's tastes covered. There are really only five colors anyways: green camo, wood, steel chrome and black. The instructions lack any history of the type, but given the well known nature of the subject, this is likely not a problem for most. Overall, I would recommend this kit to anyone looking for a relatively simple build of an iconic subject. The prototype is simple in it's own right and this kit captures this well. Some basic attention to detail can make a substantial difference in the final result, such as thinning edges, replacing handles with bent wire and basic weathering. If one wanted to add some aftermarket parts there is no end to the kit's potential. 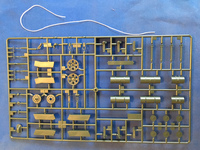 A more extensive photo-etch set, individual link tracks, brass barrel, etc. would more than bring this kit up to any reasonable standards. I would like to thank Model Rectifier Corporation for the review sample.